Looking for a fun, elegant way to celebrate the holidays? 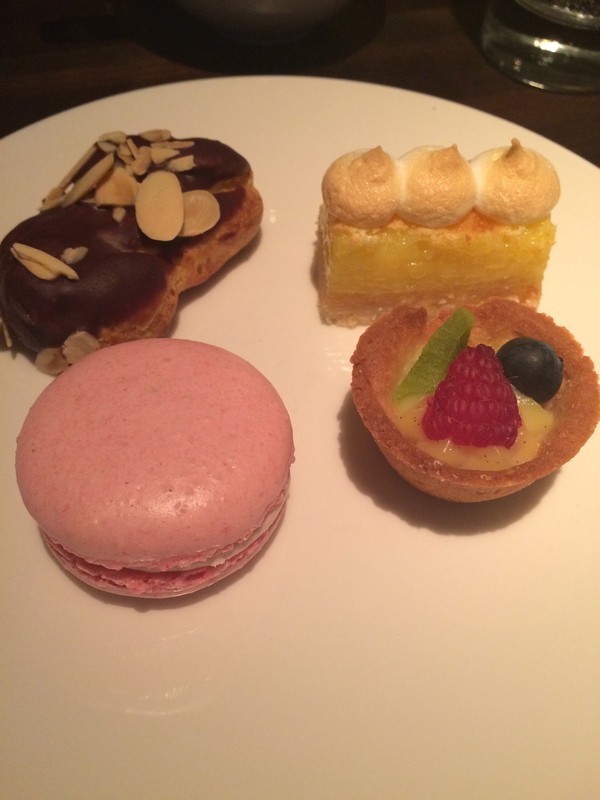 Try the afternoon Christmas Tea at Marin. The atmosphere was cozy, but refined, probably what you’d expect if you’ve dined at Marin before. Mrs. Claus herself was at the door to greet those coming for tea, and to read children’s stories to any little ones who may tire easily at something like an afternoon tea. The tea itself was very reasonably priced compared to others in the Twin Cities. The quality of the food was excellent, and the service was impeccable. 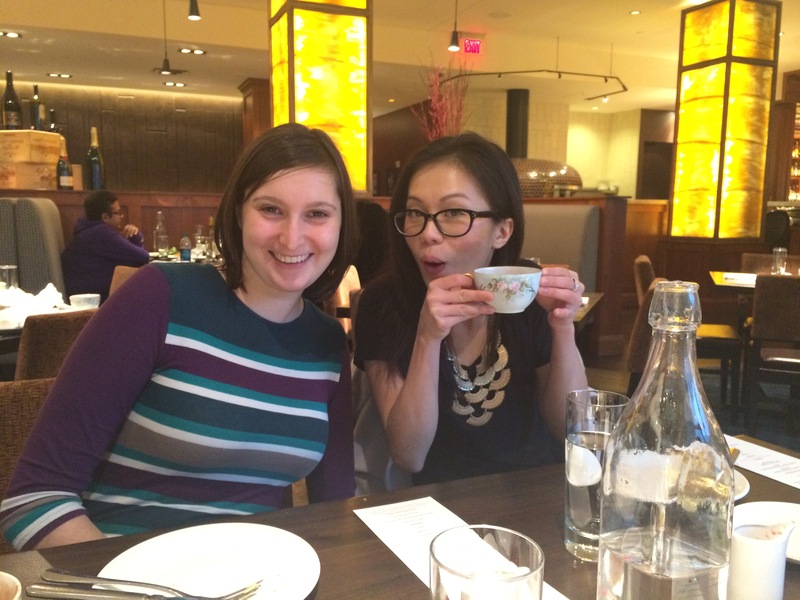 We arrived to place settings complete with china tea cups, and beautifully folded napkins. 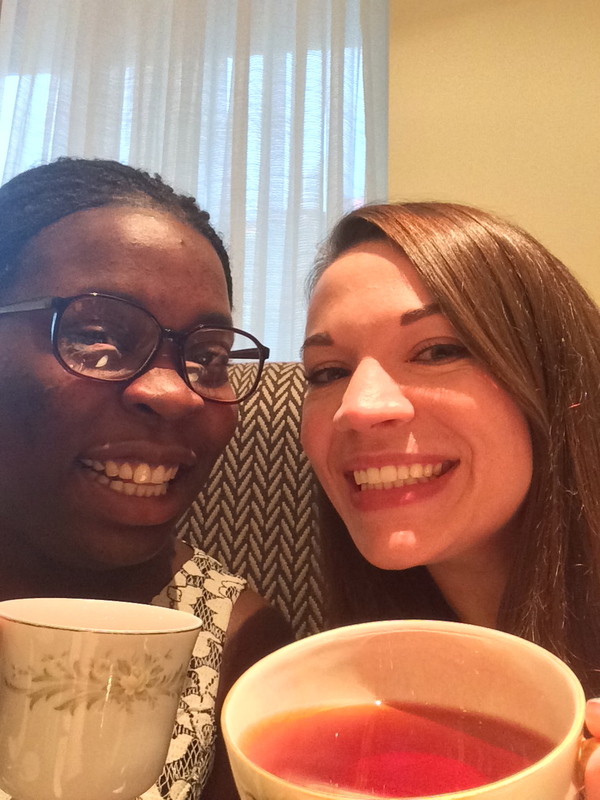 The tea service included your choice of English Breakfast, hot apple cider, or hot cocoa. That would be one area I would say could be approved upon, having only one tea option at an afternoon tea seems a bit limited, but the tea they offered was delicious, so no big complaints there. 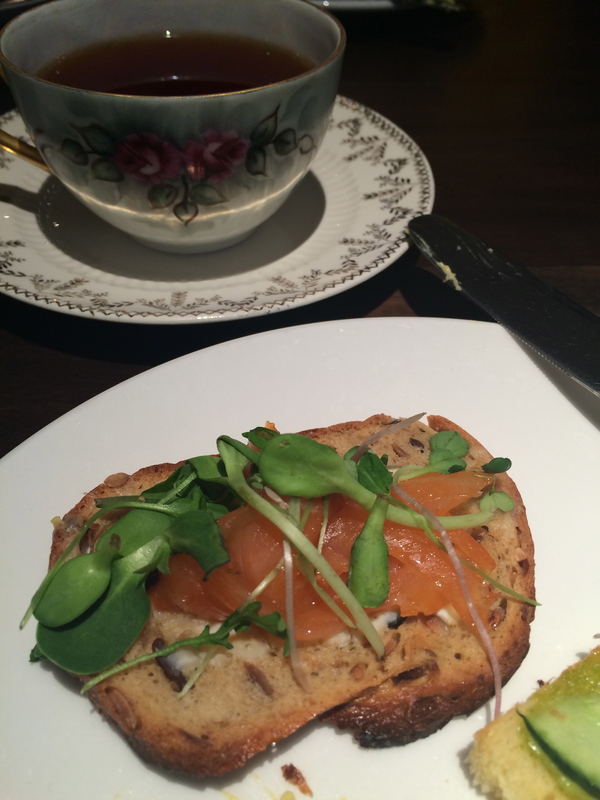 Them menu included three tea sandwiches – cucumber dill, gravlox with meyer lemon creme fraiche, and egg salad. All three were incredible – light, but very flavorful. 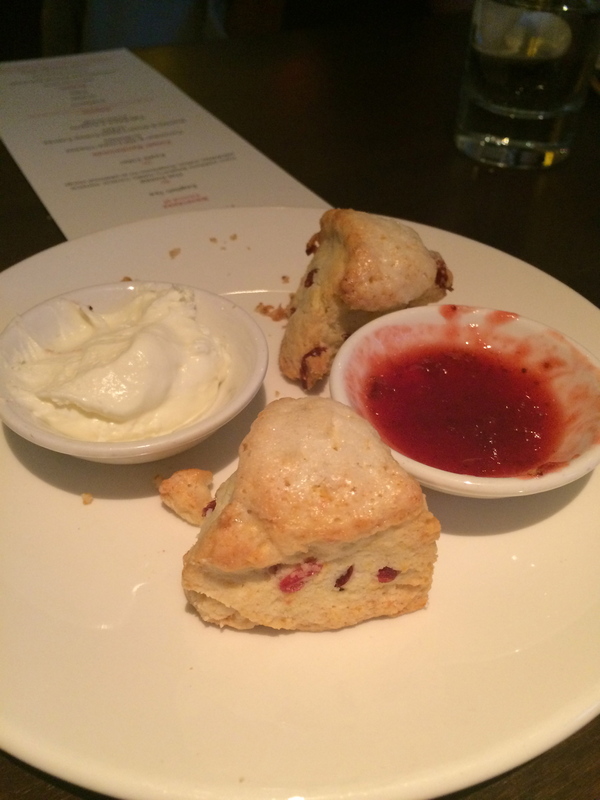 This first course was followed by a duo of fresh (we’re talking served warm from the oven) scones in plan and cranberry orange with clotted cream and strawberry preserves. To finish things off, a towering, three-tiered dessert platter was brought out with dainty strawberry macarons, amazingly tangy lemon bars, almond cream filled elcairs, and fruit tartlets. The server was a delight. He was patient when we repeated asked to switch between hot tea, cider, and cocoa, always bringing us a fresh cup to avoid contamination. He never batted an eye when we requested a few more finger sandwiches, or a couple extra scones. The four of us put him to the test, and he passed with flying colors. There’s still one weekend left to enjoy Marin’s holiday tea. With seatings at 2 and 3pm next Saturday and Sunday, there’s still plenty of time to enjoy the festivities before the new year. Reservations are required, so give them a call and get yourself ready for a lavish experience. 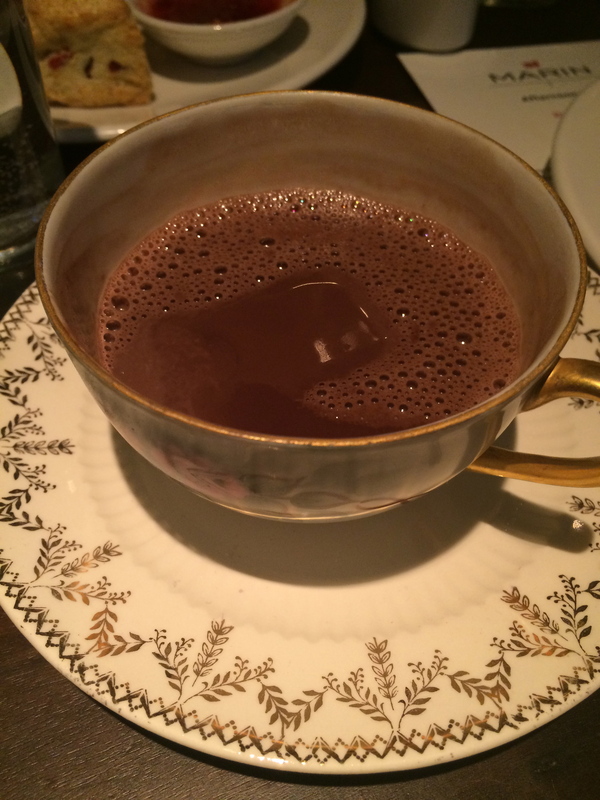 This entry was posted in event reviews and tagged High Tea Minneapolis, Holiday events, Tea room Minneapolis by theculinarycapers. Bookmark the permalink.